When it came to self-care as an undergrad, I could never fully back myself. To be fair, I rarely did work after dinner, and I took every Saturday off. I watched Netflix with my best friend in the evenings and drank herbal tea. This wasn’t because I was some prodigy who breeze through. 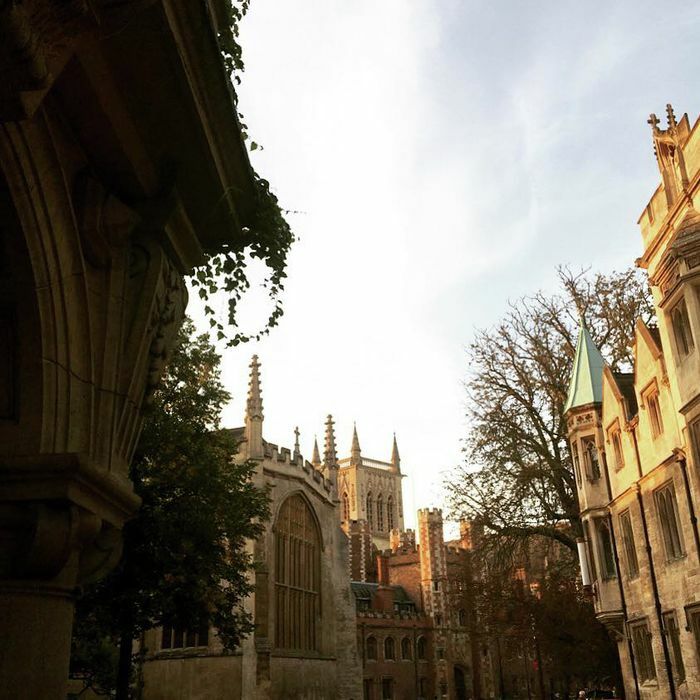 As you may have noticed, being an undergrad at Cambridge can be pretty tough on your physical and mental health, and I was certainly no exception and felt like I was struggling pretty much all of the time. By Lent of my second year I realised I had to guard every ounce of my emotional and physical energy if I was going to get through it at all. But ‘getting through it’ at that point meant literally just surviving. I was not at all confident that prioritising my own time off and eight hours of sleep a night was going to result in any kind of academic success. There is an insistent logic in Cambridge, from Facebook groups to dinner conversations in hall, that dictates you must be working basically all the time in order to do it at all. People at dinner would be suspicious or incredulous if ever I confessed that no, I would not be in the library that evening—not because I was chairing some CV-boosting committee or doing sports training, but because I was going to be resting. People are different, and everyone has different rhythms and ways of doing Cambridge that work for them. Some people need to stay busy. For some, it really might work best living from all-nighter to all-nighter, throwing in a night out every now and then. I just work better when I take time off in between. If I protect my ‘down time’ and adhere to a regular schedule of hard work and clear breaks, I’m way more productive over the long term than if I just were to sit in the library 24/7 to make it seem like I’m working just as much as everyone else. The moral of the story? Reader, it worked. I graduated, and I did it well enough I was to come back this year for the masters I could only dream of before. Not everyone’s story of struggling through Cambridge has to end that way to be successful and valid, and I didn’t get there without a lot of support from family and friends. But getting that degree was a certain confirmation that yes, my way of doing things was valid, and I didn’t have to defend it. So now I don’t. Having a much more distant relationship with my college, changing departments, and the generally different culture surrounding postgraduate study has made the environment feel a hell of a lot less toxic (thank God). I treat my degree like a full time job. I don’t always manage to keep the evenings free but I take the weekends off. Occasionally people still make jibes, but I’ve noticed it’s only on days when they’ve missed their alarm, or are struggling with their problem sheets, or have a job interview coming up. I’ve realised it was never really about me at all. Working more isn’t necessarily working better, especially when pushed to an extreme. Working more than 40 hours a week doesn’t mean you’re working harder. It just means you’re working more than 40 hours a week. And for those handling poor physical or mental health, or the burden of being an outsider to a system that is not in your favour, that workload is even less accessible. Outside of defensiveness and insecurity, outside of needing to keep up images, is a way to connect with others more genuinely, a quality desperately lacking in the isolating and insular tendencies of Cambridge student life. Perhaps perversely for a “New Year, New You”, self-care themed article, I’m not going to give you any tips. I can extol the benefits of sleep and of cooking your own meals until the cows come home, and contrary to some indications I may have given during the course of this piece, I am actually partial to a good face mask (hyaluronic acid is very hydrating, just so you know). But that’s not what good self-care is actually about. Good self-care is about identifying what your needs are, and setting your boundaries firmly, and reminding yourself that the judgement or surprise of others says a lot more about them than it does about you. I can’t give you any tips. I don’t know what you need. But if I can wish well on your journey to figuring that out, and validate your experience, I think that’s the best thing I can give you.